While there is no cure for Autism Spectrum Disorder/Neurodevelopmental (ASD/NDD), many of the symptoms that interfere in an individual’s life are highly treatable. When a child is diagnosed, families face the next challenge, choosing therapies for their child. Each child with ASD/NDD is unique and, so, each intervention plan should be tailored to address specific needs. Intervention can involve a particular method or be a combination of several. Therapies can be provided in many different settings, at home, in school, at a clinic, or in the general community. Many children will be eligible to receive services through Early Supports and Services (birth-3 yrs) or through an educational plan (IEP), (3-21 yrs) , usually termed Related Services on the IEP. These services and therapist identify and address difficulties in areas that affect so much of a child’s life and function. Coordination with these service providers and the rest of the team is critical to build and generalize targeted skills across settings. While these services are often provided as pull-out therapies, they may be more effective provided in more natural settings as both therapy for the student with autism and training opportunities for the school community (e.g. conversational speech goals might be targeted during a student’s lunch period, when daily support staff and peers could be trained in techniques to be used on a daily basis to achieve objectives much faster and more naturally.) Students with ASD/NDD often require supports in the home and community, so coordination of care and comprehensive wrap around services are often needed. Occupational Therapy (OT) – A Certified Occupational Therapist, (OT) brings together cognitive, physical and motor skills to enable the individual to gain independence and participate more fully in life. For a student with ASD/NDD, the focus may be on appropriate play, fine motor and basic social and life skills such as handwriting, independent dressing, feeding, grooming and use of the toilet. The OT can recommend strategies for learning key tasks to practice in various settings. Physical Therapy (PT) – A Certified Physical Therapist (PT), focuses on problems with movement that cause functional limitations. Students with ASD/NDD frequently have challenges with motor skills such as sitting, walking, running and jumping, and PT can also address poor muscle tone, balance and coordination. An evaluation establishes the abilities and developmental level of the child, and activities or supports are designed to target areas of need. Sensory Integration Therapy (SI) – (SI) therapy addresses disruptions in the way an individual’s brain processes sensory input, developing strategies to help process these senses in a more productive way. 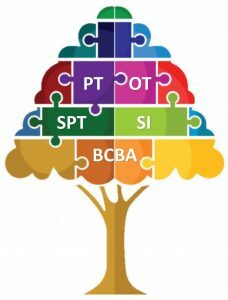 A sensory integration-trained OT or PT begins with an evaluation, and then uses research-based strategies to plan an individualized program for the child, matching sensory stimulation with physical movement to improve how the brain processes and organizes sensory information. Speech-Language Therapy (SLT) – Certified Speech-Language Pathologists (SLP) use a variety of techniques to address a range of challenges for children with autism. SLT is designed to address the mechanics of speech and the meaning and social value of language. For students unable to speak, SLT includes training in other forms of communication, or oral exercises to promote better control of the mouth. For those who seem to talk incessantly about a certain topic, SLT might work on expanding the conversational repertoire, or reading social cues and adjusting conversation to the needs of the listener. An SLT program begins with an evaluation by an SLP and therapy may be conducted one-on-one, in a small group or in classroom/natural settings. 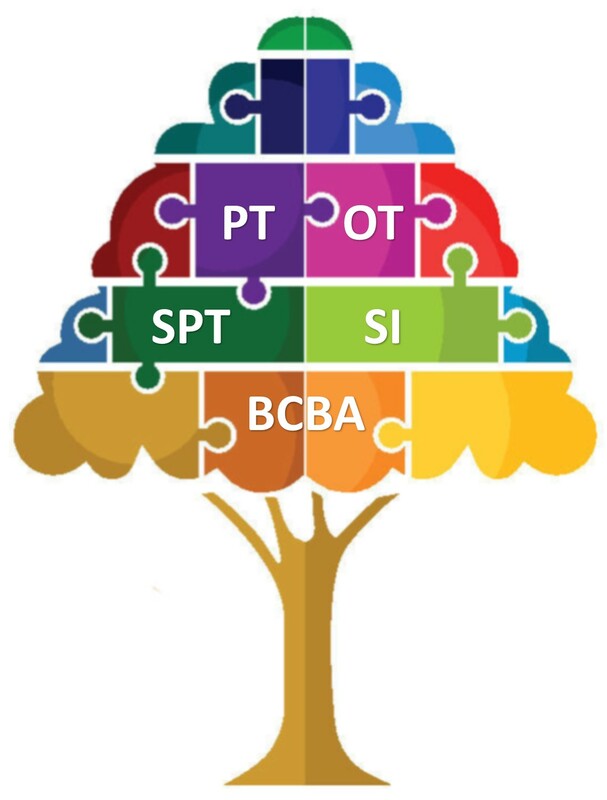 BCBA Therapists are certified in Applied Behavioral Analysis (ABA) through the Behavior Analyst Certification Board. If they are board certified and have at least a Master’s degree, then they will have the letters BCBA after their name. BCBA-D means they have a doctoral degree. Other therapists may have BCABA credentials. This means education in ABA at a Bachelor’s level. For individuals with ASD/NDD, occupational, speech and language and physical therapy may be paid for by a variety of sources, depending upon the age of the individual, the goals of the therapy, and the setting in which the treatment activities take place. Insurance, both private (based on employment) and public (Medicaid): Many policies include OT, PT and speech and language therapy as a covered service. The NH state law that supports this coverage is Connor’s Law for autism treatment. Some insures may also pay for services received through private providers in the community. Check with your insurer for a list of providers they are contracted with. NH Family Centered Early Supports and Services (ESS): Occupational and Physical therapy may be includes in a child’s intervention plan, however, it is important to discuss with the ESS coordinator how to maximizing all available benefits. Special Education: When a child enters into the public school at age 3 yrs. the child’s Individualized Education Plan (IEP) may include OT, PT and Speech and Language as a related services. Typically these services take place in the school and support the child’s ability to participate in school activities. Not every "therapy" needs to look like therapy! In fact, many opportunities to teach social, leisure, and other life skills don't come packaged as therapy at all. For example, some teens with ASD/NDD attend improvisational theater classes to improve fluency in speech. Virtually any sport will help improve coordination and stamina. Song may assist and motivate speech. What does your town recreation department offer? What about the local dojo, middle school robotics team, or parish players? When parents approach programs asking "how can we make this work?" many coaches and directors are also willing to think “outside the box”. This may mean involving a physical, occupational or behavior therapist for a time to help the instructors understand your child and how to include him or her successfully in the groups' activities. Such efforts pay long-term dividends in creating an opportunity for peers to get to know your child as a friend who shares their enthusiasm for a skill or sport. Music Therapy is an allied health profession in which music is used within a therapeutic relationship to address physical, psychological, cognitive, and social needs of individuals. After assessing the strengths and needs of each client, the qualified music therapist provides the indicated treatment including creating, singing, moving to, and/or listening to music. Through musical involvement in the therapeutic context, the client's abilities are strengthened and transferred to other areas of his or her life. Music therapy also provides avenues for communication that can be helpful to those who find it difficult to express themselves in words. For more information see the New England Region of the American Music Therapy Association (AMTA). Therapeutic Riding/Hippotherapy - Therapeutic riding is the use of horse back riding for individuals with physical or developmental disabilities to improve muscle tone, motor development, balance, posture, coordination and overall emotional well-being. Riders can experience a sense of independence that they may not be able to experience anywhere else. The EquineSite Therapeutic Riding has a list of therapeutic riding centers in NH and Northern New England. Art Therapy - The American Art Therapy Association defines art therapy as “a mental health profession that uses the creative process of art making to improve and enhance the physical, mental and emotional well-being of individuals of all ages. It is based on the belief that the creative process involved in artistic self-expression helps people to resolve conflicts and problems, develop interpersonal skills, manage behavior, reduce stress, increase self-esteem and self-awareness, and achieve insight.” Art therapy is used with children, adolescents, adults, older adults, groups, and families to assess and treat mental health issues. Art therapists are masters level professionals who hold a degree in art therapy.